DANA POINT — Orange County Dana Point Harbor officials announced that “story poles” showing the heights and locations of the proposed harbor boat storage and commercial buildings were going up on Jan. 31. The story poles will be placed to show the ridgelines and peaks of the Commercial Core Buildings and Dry Boat Storage Building Proposal, as stated in the notice. 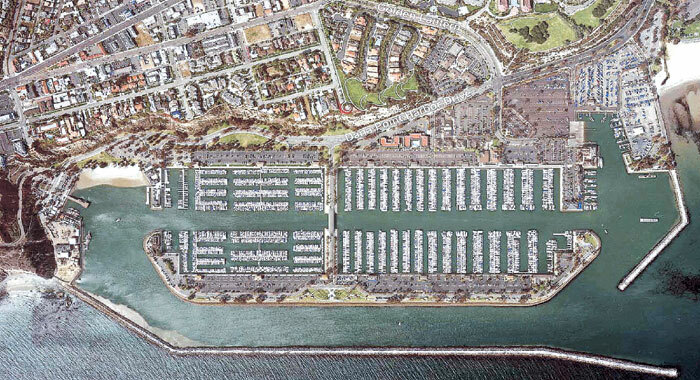 The proposed structures are part of the conceptual Dana Point Harbor Revitalization Plan. Staff members will provide specific designs of the buildings in the application for a Coastal Development Permit (CDP). The plan must be approved by the California Coastal Commission. “The CDP will be finalized after the city’s Planning Commission public hearing is conducted and the appeal period expires,” said OC Dana Point Harbor director Brad Gross. Gross anticipates the application will be filed with the city of Dana Point within the next two months. Once it is filed, city officials will schedule the public hearing. California Coastal Commissioners approved the landside portion of Dana Point’s $140 million Harbor Revitalization Plan in January 2011. The first phase of the plan calls for the redevelopment of Planning Areas 1 and 2, labeled the “Commercial Core” — including Mariner’s Village, Dana Wharf, a launch ramp, a boater parking lot and a dry storage area for boats. The story poles will be up for one week, and then will be certified by the county’s land surveyor. The poles will be removed Feb. 7. For more information, visit ocdph.com or call (949) 923-2236.